By now, the Honest Trailers Series of online, parody trailers produced at Screen Junkies.com is well established. Getting an Honest Trailers sendup is a rite of passage for a movie, sometime between being viewed in theaters and at home. 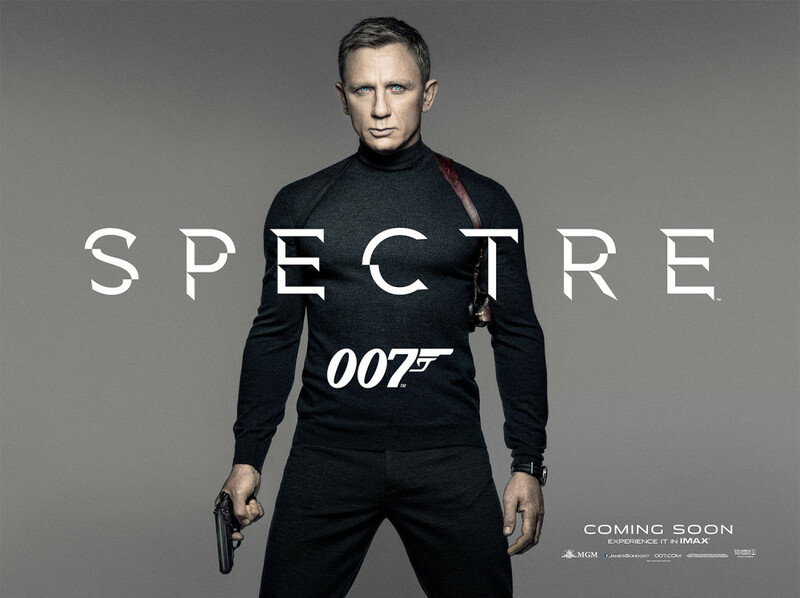 This week, Honest Trailers teed off on SPECTRE, the 24th James Bond film. Naturally, some websites wrote about it, including THE PLAYLIST and ESQUIRE. Some fans laugh with it, but others criticize Honest Trailers as self-absorbed and not serious film criticism. Well, they’re not certainly serious film criticism. Each Honest Trailers entry lasts a few minutes and is full of one-liners. For the SPECTRE entry, the jokes conclude with all the similarities between SPECTRE and 2014’s Captain America: The Winter Soldier, a comic book-based film with a lot of spy elements. Take a look if you haven’t seen it already. The thing is, as much as the SPECTRE version of Honest Trailer talks up the 2014 Captain America film, the folks at Screen Junkes still did a parody of it. CLICK HERE to view it. When it comes to Honest Trailers, it’s best to go along for the ride, or, depending on your view, ignore the series. It ain’t Pauline Kael (or your movie essayist of choice) nor does it attempt to be. It’s like the mid-1960s all over again. 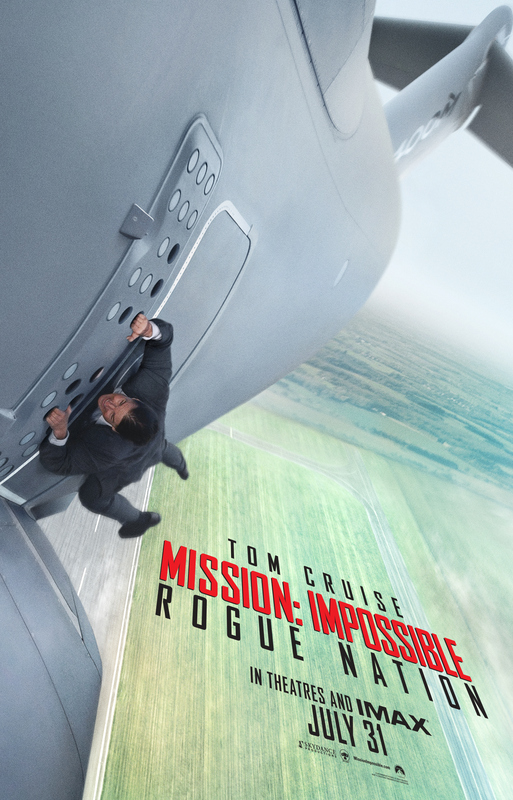 –Mission: Impossible Rogue Nation unveiled its teaser trailer this week, in which a mysterious, shadowy organization called the Syndicate is trying crush the Impossible Missions Force. –SPECTRE, the 24th James Bond film, is in the midst of production, featuring a 21st century take on the organization that opposed 007 in the early Bond films. –Avengers: Age of Ultron, the latest Marvel Studios film is coming out May 1 and may include the latest appearance by Hyrdra, a vast group that infiltrated SHIELD in last year’s Captain America: The Winter Soldier. 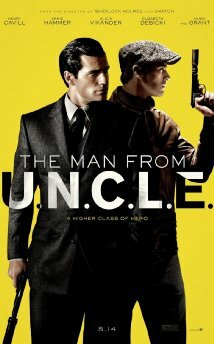 –The Man From U.N.C.L.E. movie is due out Aug. 14. It, too, features a mysterious organization. The question is whether it will be Thrush, the “supra nation” that opposed U.N.C.L.E. in the original 1964-68 series. At this point, all we need Galaxy (two Derek Flint movies) and BIGO (three of four Matt Helm movies) to come back. KAOS, may be lurking as well (having been included in a 1980 theatrical movie and a 1989 made-for-TV film). The notion of the huge group that, in some cases, was like a shadow government fell out of favor after the 1960s. Bond was the last man standing by 1971 and 007 encountered mostly one-off independent menaces (though some were affiliated with unfriendly governments). At the same time, the cinema Blofeld was the subject of jokes in Austin Powers movies. What’s more, there were legal disputes about SPECTRE, with producer Kevin McClory saying the rights to the criminal organization belonged to him. A specific reference to SPECTRE boss Ernst Stavro Blofeld was taken out of the script of 1981’s For Your Eyes Only. The script had a line where a mysterious guy who resembled Blofeld said this was the 10th anniversary of his last encounter with 007. Even though it didn’t make the movie, it was too late to take it out of the Marvel Comics adaptation. By 2012, Eon Productions said it wasn’t even interested in SPECTRE. Eon whistled a different tune after a 2013 settlement with the McClory estate secured the rights to Blofeld and SPECTRE. Recently, Broccoli acknowledged to Empire magazine that SPECTRE is a new take on the old villainous organization. The cast of SPECTRE includes Jesper Christensen, who played Mr. White, an official of a group called Quantum in Casino Royale and Quantum of Solace (the name wasn’t revealed until Quantum of Solace). Marvel Studios also was bringing back the vast villainous organization. In 2011’s Captain America: The First Avenger, set during World War II, viewers were introduced to Hydra, formed by Hitler but a group that has its own ambitions to take over for itself. In the 2014 Captain America movie, we see Hydra is alive and well and moving forward on its ambitions. Hydra in the comics made its debut in Strange Tales 135 in a story by Stan Lee and Jack Kirby that introduced Nick Fury, Agent of S.H.I.E.L.D. Later, writer-artist Jim Steranko connected Hyrdra to Fury’s World War II past, establishing that Hydra’s leader was Baron Wolfgang Von Strucker, a World War II foe of Fury’s. With M:I, the existence of the Syndicate was teased at the end of 2011’s Mission: Impossible Ghost Protocol. In the original television series, the Syndicate merely was an alternate name for the Mafia. The trailer unveiled this week makes clear the Syndicate is a much larger animal. Which brings us to Thrush, which U.N.C.L.E. was waging war against in that television series. (At one point, WASP and MAGGOTT were considered as alternate names.) Thrush had vast resources, with thousands of employees on the U.S. West Coast alone. In the show’s final season, Thrush spent billions of dollars in various failed schemes. The Thrush name, however, wasn’t mentioned in the teaser trailer that came out in February. 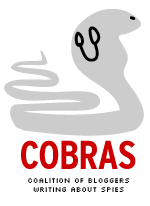 Why the surge in popularity for such organizations? Well, Hydra has been part of successful Marvel movies. Also, naming specific countries as being responsible for mayhem can be tricky. In 2002, Die Another Day had the North Koreans as villains. In 2014, North Korea was the leading suspect for being responsible for hacking at Sony Pictures, including leaks of SPECTRE’s script. What’s more, no studio wants to offend China and its vast market for movie goers. Thus, what is old is new again. Don’t bet against the return of Galaxy and BIGO. Last month, we carried a A POST wondering if comic book creators would get their due with 2014’s bumper crop of comic book-based films. So far, the creators are 1-for-2. 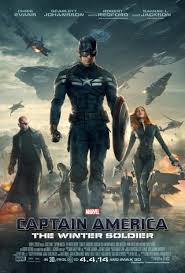 Captain America: The Winter Soldier carried a creator credit for Cap (Joe Simon and Jack Kirby) and included a “special thanks” credit for a number of comic book writers and artists, including scribe Ed Brubaker who devised the Winter Soldier storyline that’s the spine of the movie. This weekend, saw the release of Amazing Spider-Man 2. Stan Lee and Steve Ditko got a “based on the comic book by” credit, as they have with past Spider-Man films. But others, mainly Gerry Conway, who authored an early 1970s story whose outcome is incorporated into the movie, didn’t get a mention. The closest reference in Amazing Spier-Man 2 is how there’s a “Principal Conway” character. 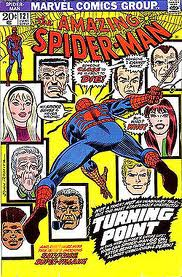 Also going unmentioned is John Romita Sr., co-creator of the Rhino; a much different version of the character appears in Amazing Spider-Man 2. This isn’t that surprising. Movies produced by Marvel, now a Walt Disney Co. unit, have for the most part provided some kind of recognition for those who created characters and stories used by film writers and directors. Studios that license Marvel characters, such as Sony with Spider-Man, haven’t been as diligent. Later this month, Fox will release another X-Men movie. Much of that film is based on a Chris Claremont-John Byrne story. The X-Men were originally created in 1963 by Stan Lee and Jack Kirby, and a 1975 reboot with a number of new characters was started by Len Wein and Dave Cockrum. It remains to be seen whether any of them will get a mention in the 2014 film.